A broad, bipartisan coalition of legislators, students and faculty called for full funding and a tuition freeze for students at the California State University and the University of California at a Capitol news conference Monday. 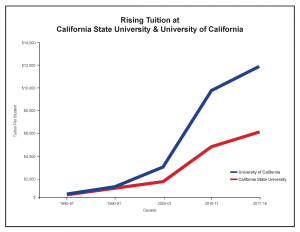 Both CSU and UC are considering tuition increases to compensate for a shortfall in the Governor’s budget. 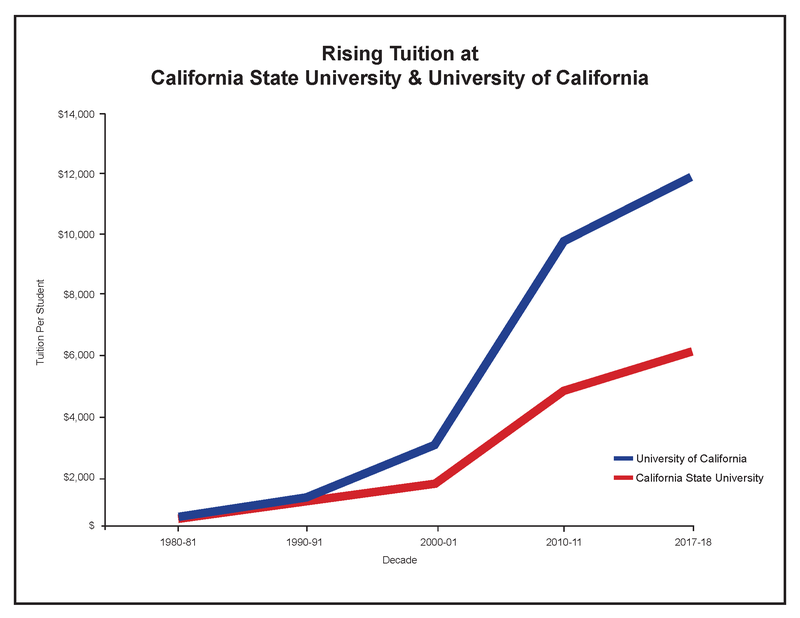 CSU is seeking $171 million more in state funding to avoid tuition hikes and to provide greater access to more qualified California students; UC is seeking $105 million more. “In a year when state budget revenues are expected to be robust, and when we’ve already raised tuition so much, we shouldn’t be imposing more tuition increases on the families of students at our public universities,” said Ben Allen, D-Santa Monica, chairman of the Senate Education Committee. “Investing state resources in preserving college affordability must be a priority, for the sake of today’s young people and for the future of our state. 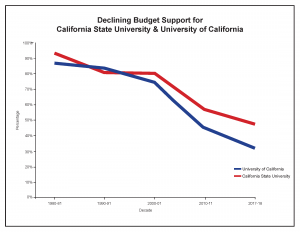 Full funding would allow CSU to cover expanding access to qualified California students (3,641 additional FTE students); its Graduation Initiative 2025; agreed-upon compensation increases for faculty and other employees; and some infrastructure needs, including critical deferred maintenance. 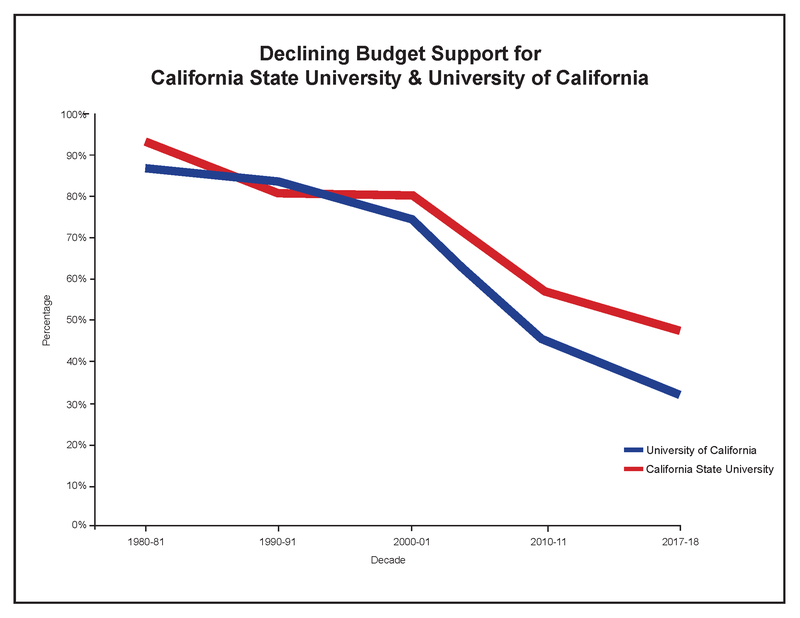 For the UC, full funding would cover the expansion of access (500 California undergraduates, 500 graduate students); catch-up funding for recent enrollment growth (1,500 students); and faculty hiring, academic counseling, student mental health services, graduate students support and classroom facilities. Joining Sens. Glazer and Allen were Democratic and Republican members of the Assembly and Senate, CSU and UC students and faculty.